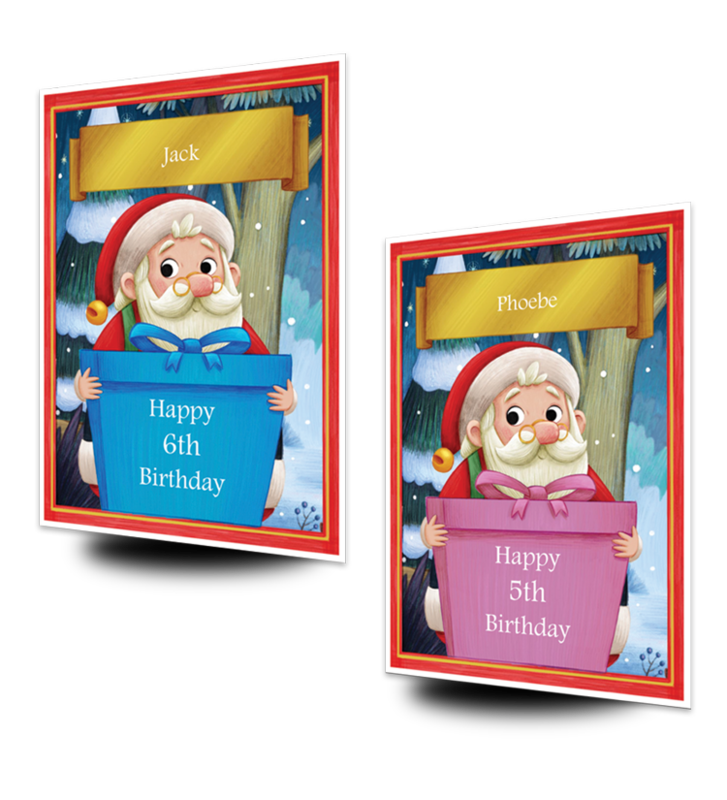 What personalised product would you like to order? 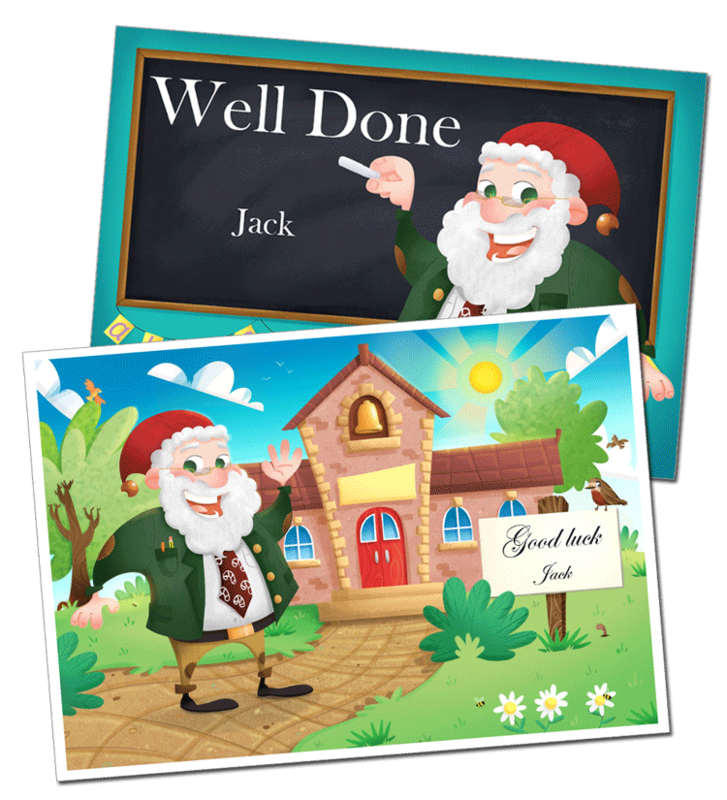 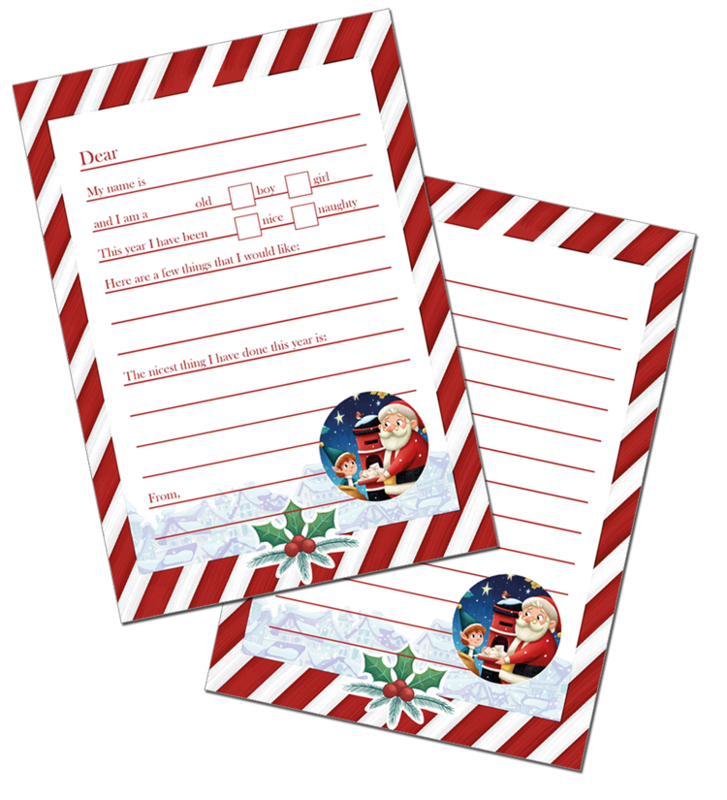 Personalised Santa Letter, Nice List certificate and activity pack, printed and posted in a festive envelope with a north pole stamp. 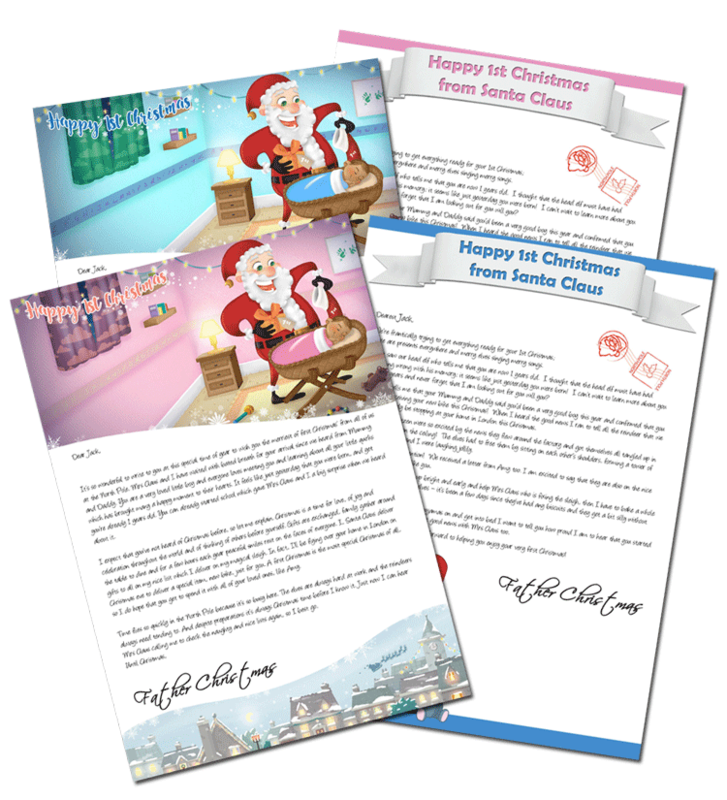 The perfect keepsake for your baby's very 1st Christmas, with our beautiful letters from Santa you will have a fantastic keep sake to look back on in the future. 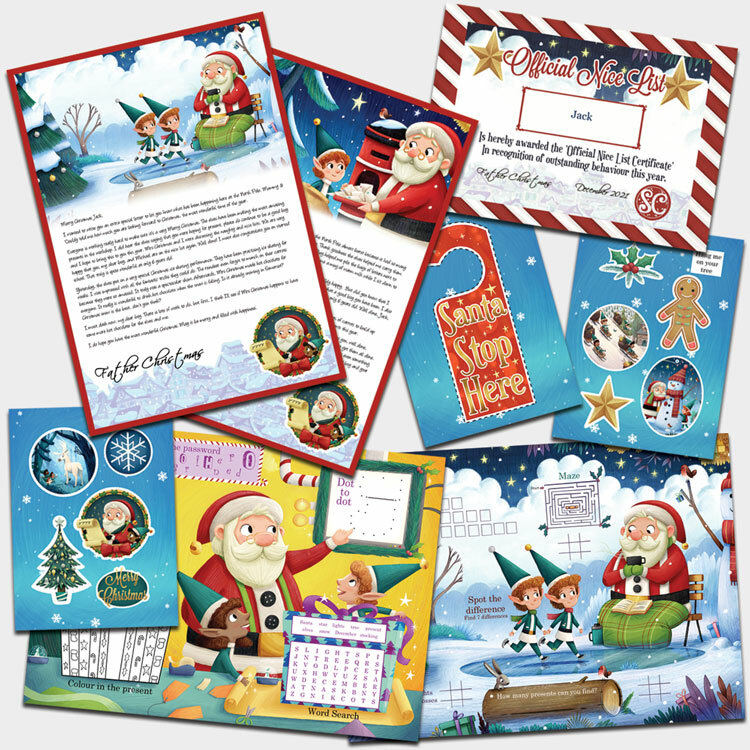 Every child should be writing their letter to Santa with their wishes and achievements, with our personalised Letter To Santa pack which comes loaded with goodies they can. 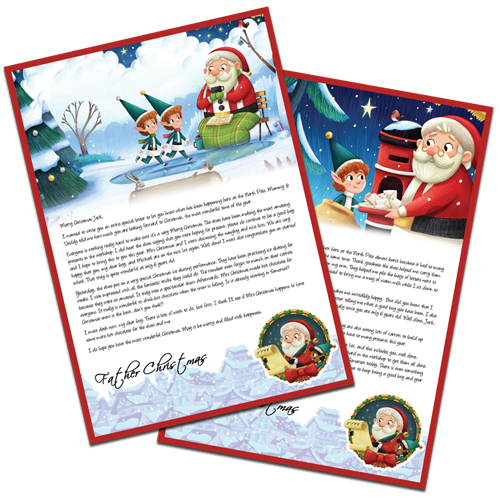 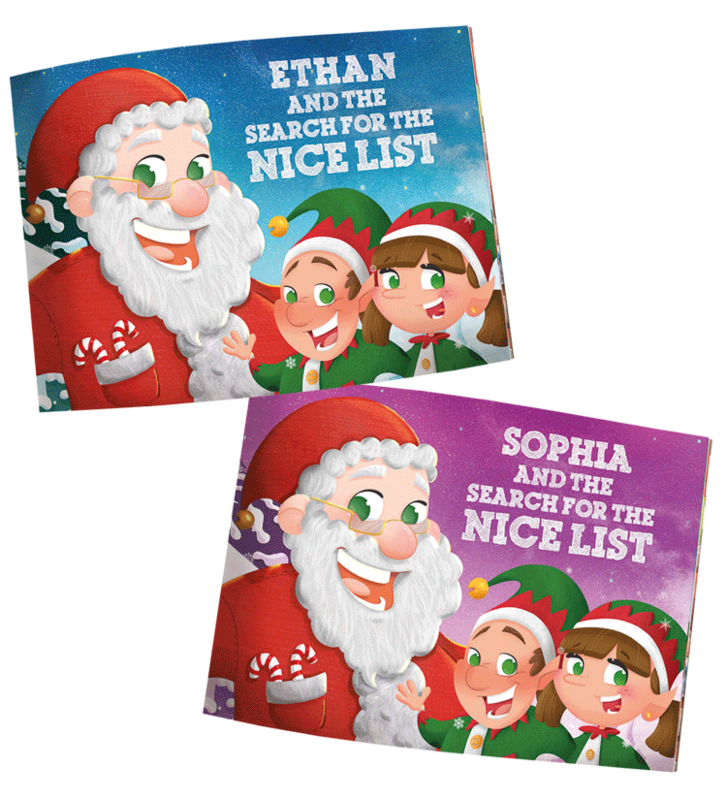 Imagine your little ones face when they have received a personalised birthday card from Santa delivered in a north pole envelope. 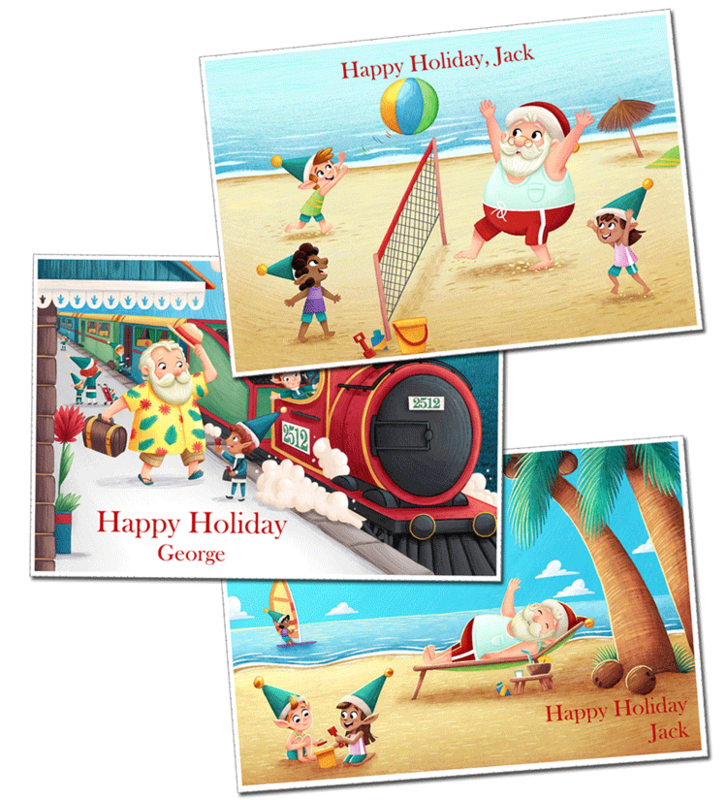 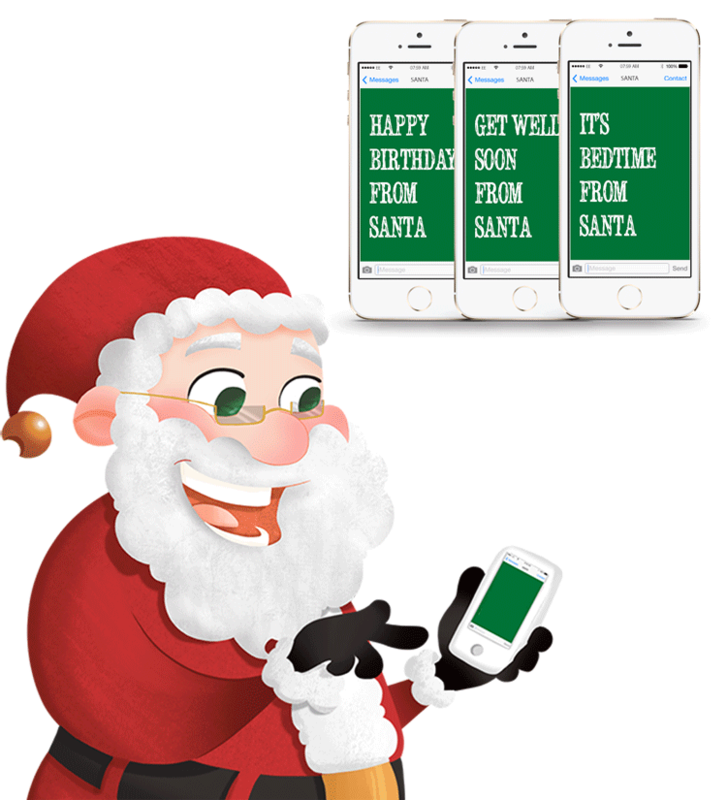 Imagine your little ones faces when they receive a personalised text message from Santa that you have written.